Brahma is considered as the first god of the Hindu Trinity, the other being Vishnu and Shiva. Lord Brahma is recognized as the creator of the Universe. 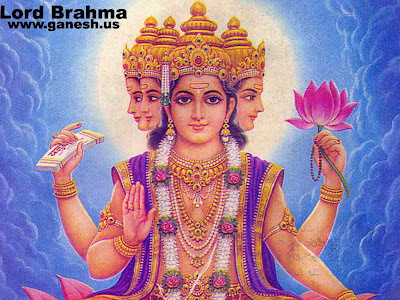 Brahma is regarded as the Supreme Being, the god of gods. Lord Brahma is the originator and the generator of the mankind. Brahma symbolizes the universal mind, as creation is the work of the mind and the intellect. If we consider this, from an individual's point, Brahma represents one's own mind and intellect. As an individual is god gifted with the mind and intellect, then it may be assumed that a person has already attained Brahma. This could be the possible reason that worship of Brahma is not so popular among the Hindu people. 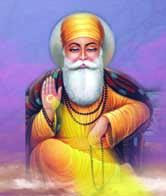 However, he is worshipped by seekers of knowledge, such as students, teachers, scholars and scientists. Hindu God Brahma can be seen as a four-faced, four-armed, bearded deity. He carries a rose and a book in the upper hand; a water pot (Kamandala) in the lower hand and one hand is always there to bestow grace. The four faces represent the holy knowledge of the four Vedas (Riga, Yajur, Sama and Atharva). It symbolizes that Brahma is the foundation of all the knowledge required for the creation of the universe. The four arms represent the four directions and therefore symbolize that Lord Brahma is the omnipresent and the omnipotent. The white beard conveys wisdom and the long beard gives the idea that creation is a never-ending process. 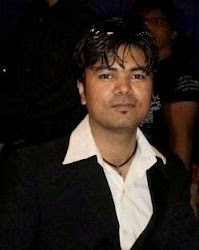 The crown on the head of Brahma implies that the Lord has the supreme power and authority over the process of creation. Brahma sitting on a lotus represents the creative power of the Supreme Reality. The white color of his clothes symbolizes purity. As per the Hindu mythology, a swan is possessed with an exceptional discerning sense, which enables it to distinguish pure milk from a mixture of milk and water. Brahma uses the swan as a vehicle, which is known for its discerning abilities. This conveys the idea that, there is only one Supreme Reality from which the entire universe emanates.